Create six different fold types with the Martin Yale Ease-of-Use Automatic Paper Folding Machine - letter fold, half-fold, z-fold, double parallel, gate, and church. Handles and automatically feeds and folds a stack of documents, 5" x 5" to 8.5" x 14"
60GSM to 131GSM; 16lb bond to 90lb text. 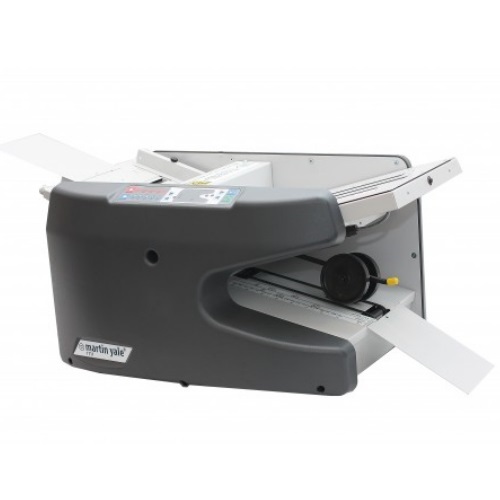 High speed machine automatically feeds and folds a stack of documents up to 8.5" x 14"
Dimensions: 32.5" x 15.5" x 13.2"